We hit the road at about 9am to make it to Yarrie Lake, a campsite just outside of Narrabri. We took the back roads up through Dunnedoo, then up through Gunnedah and back out to Narrabri. It was good to see a few new roads and towns. 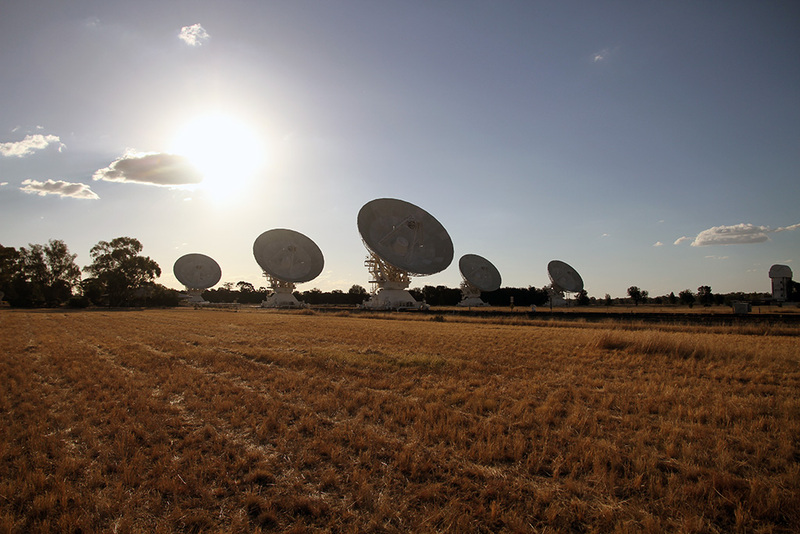 On our trip last year to the Snowy Mountains we called in at the radio antenna at Parkes. It was there that we also discovered that there was also a Compact Telescope Array at Narrabri. So this trip we were determined to see that as well. 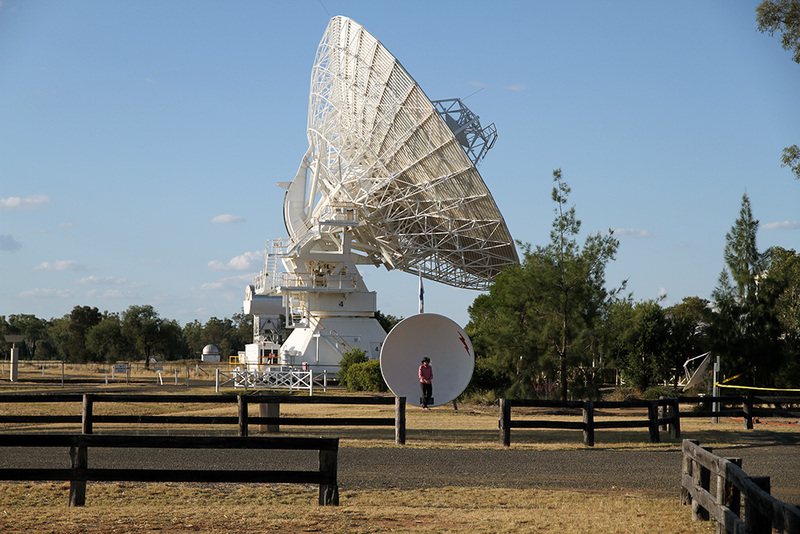 We pulled up at the Narrabri Compact Telescope Array to take some photos of the dishes, and after about 15 minutes, who should pull up in the carpark but Allan and Evelyn. Perfect timing! We had planned to camp together at Yarrie Lake so it worked out well. 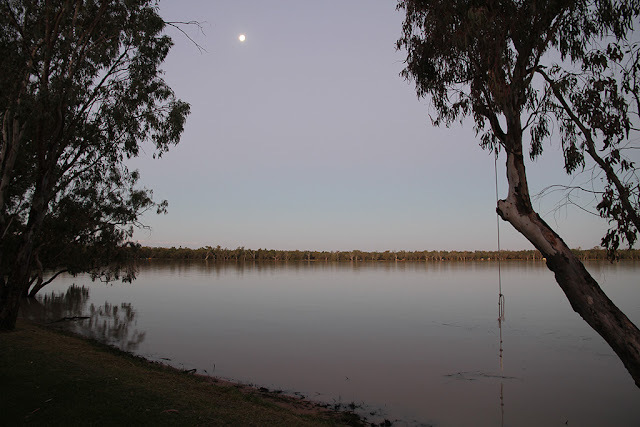 After a few wrong turns, (thanks to the camp site coordinates and vehicle navigation), we eventually made it to Yarrie Lake and got two sites with a great view of the lake and close to the amenities. The camp ground was pretty much full in preparation for the Easter long weekend so we were glad to get the two sites that we got. The Lake is a perfect circle and was formed by a meteor crashing into the earth thousands of years ago. It was great to watch the sun go down and see the light changing on the lake. Poor Evelyn had no luck with the 'frog in the toilets' situation again – in the toilets there was a sign saying “Please close the lid of the toilets, as the water attracts the frogs, and the frogs attract the snakes” - YIKES – that's a bit off-putting!